An equity fund investing globally in a diversified portfolio of technology related companies. The fund invests predominately in disruptive technologies, with the main theme being to capture opportunities arising due to growth of the internet. The team’s investment style blends extensive company visits, in-depth fundamental analysis, relative value analysis, technical and timing factors, and a wide network of industry sources, to form an investment process that is logical and intuitive. We like the fund as it is very active and will trade around positions combining the fundamental view on companies from Mark together with momentum based trading ideas from David Goodman (co-portfolio manager). Prior to joining GAM in October 2008, Mark was a partner and portfolio manager with Marshall Wace Asset Management for eight years, managing one of Europe’s largest technology, media and telecoms hedge funds. 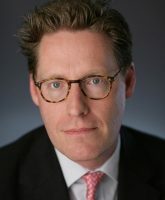 Mark previously spent seven years at Enskilda Securities, initially as head of sales, before taking responsibility for the international equity business, overseeing pan-European research and trading activities and around a quarter of the investment banking staff. He is based in London. At GAM Mark is an Investment Director responsible for running a global long only and long/short funds investing in the technology sector. For more than 30 years, GAM has been providing active investment solutions across a broad range of capabilities. Collectively GAM manage CHF 119.0 billion in assets for institutions, financial advisers and private investors. GAMS investment professionals, who on average have more than 18 years of industry experience, manage CHF 74.3 billion in client assets (as of December 2017). In addition to investment management, with over 1,000 people in 11 countries, they truly are a global firm in scale and resources.